Almost all of the UK’s environmental regulations on fracking could be removed if the UK votes to leave the EU, according to legal experts. The analysis suggests a vote to Brexit could lead to moves that would fast-track fracking across the country. The vast majority of the EU rules derive from 15 European Directives, which means that Parliament – and the current government – would be able to amend or even undo them in the event of a Brexit. Most of the changes would require only secondary legislation. In some cases rules could simply be more easily ignored, without fear of action by European courts. Regulations on water use and contamination, the safe use of chemicals, air pollution, noise, climate change, biodiversity and environmental liability are among the numerous EU-wide agreements enforced by UK regulators. Also based in EU law are rules forcing firms to carry out environmental assessments prior to drilling and to carry out extensive consultations with communities and regulators. A vote to leave would also mean new environmental protections for shale gas operations – such as those currently being developed by the Commission – would not apply in the UK. The gas industry, however, appears to want to stay in the EU, with noted shale evangelist Nick Grealy observing that investment in the industry would be hurt by a likely economic downturn. The British government has for years lead the charge against the EU’s environmental rules for fracking, and succeeded in 2014 in blocking a proposed law that would have required specific environmental impact assessments for shale gas projects. Boris Johnson once advocated for fracking in London — saying “no stone should be left unfracked”. Other prominent members of the Leave campaign are similarly minded: Michael Gove and Iain Duncan Smith voted to allow fracking under national parks. As environment secretary, Owen Paterson said he did ‘everything [he] could to speed up approval of shale gas permits’ whilst current energy minister Andrea Leadsom is a fierce fracking advocate. No member state has ever quit the EU, so there’s a lot of unknowns on the other side of a Brexit vote. But there are things that we know for sure, and one of those is that the UK would no longer be forced to comply with the stringent environmental strictures born in Brussels. The regulations that govern fracking have all already been transposed into UK law so they won’t simply disappear if the voters choose to ‘leave’ the EU. Instead Westminster will be able to amend or undo these rules, or could even simply choose not to enforce them. Which regulations are at risk? It’s often said that around 80% of environmental regulations in member states derive from EU law. In the case of fracking, there are more than 15 EU directives and regulations, including the Water Framework Directive, REACH regulations (use of chemicals), Habitats Directive , Groundwater Directive, Mining Waste Directive, Industrial Emissions Directive, Environmental Liability Directive and the Environmental Impact Assessment Directive. “If the UK leaves the EU, a comprehensive review of environmental law will be needed,” according to Joanne Hawkins, a law lecturer at the University of Leeds. “Having identified which laws stem from the EU, the UK will need to consider whether it wants to repeal – or totally or partially – or change such laws,” she told Unearthed. Antoine Simon, legal expert at Friends of the Earth Europe, agrees. “What would change is that future governments would be able to review the environmental legislation in place and apply the standards they deem useful, or reasonable, or necessary,” he said. Another key consideration for what would happen to the regulatory framework of post-Brexit Britain is the type of trade deal it strikes with countries on the continent. According to Ms Hawkins, if it were to adopt a Norway-style model and become an EEA country, the UK would be forced to comply with many EU regulations, present and future — though it would cease to have a role in shaping them. However the Leave campaign’s focus on controlling immigration – which would be impossible with a Norway-style agreement – means a lengthy negotiation is likely, with the UK quite plausibly ending up outside the single market. In that scenario it would not be bound by EU rules, and would be free to amend or repeal environmental regulations. The Groundwater Directive requires the environmental authorities (in this case the Environment Agency) to enforce groundwater quality standards; REACH regulation sets limits for additives in chemicals used in the fracking process; the Mining Waste Directive covers the handling and disposal of flowback/produced water. The extensive permitting process, bane of the industry’s nascent existence, is deeply rooted EU law, with the Environmental Impact Assessment Directive (along with a few other EU laws) forcing firms to consistently consult with authorities and the public on the impacts of a given project; the Habitats Directive offering special protections to the homes of certain species; and the Industrial Emissions Directive requiring shale drillers to get a license before flaring. There’s also the fact the UK would miss out on further EU environmental regulations designed to plug the gaps that exists in current legislation. In 2014 the EU issued a non-binding (thanks to the UK’s coalition of pro-fracking countries) ‘recommendation’ that all shale gas projects should undergo environmental impact assessments; that policy is up for review in 2016, and if the EU decides it has been insufficiently implemented then the Commission may take legislative action. Which, of course, the UK would not be subject to if it votes for Brexit. Likewise it would miss out on the detailed environmental standards for fracking that are being currently formulated by the EU and which will be finaled in 2018. Ms Hawkins said: “Given the UK emphasis on cutting red tape and reducing regulatory burdens, standards such as the EU’s current ‘best available technique’ may be dis-applied in favour of other approaches to risk management, such as a cost benefit analysis. While it’s impossible to predict the behaviour of post-Brexit government, history suggests the UK will work to get rid of what it regards as burdensome environmental rules. “Together with Poland, the UK has been at the forefront of a rebellion group of member states which have stopped the European Commission and the European Parliament from passing binding measures on fracking,” Mr Simon told Unearthed. 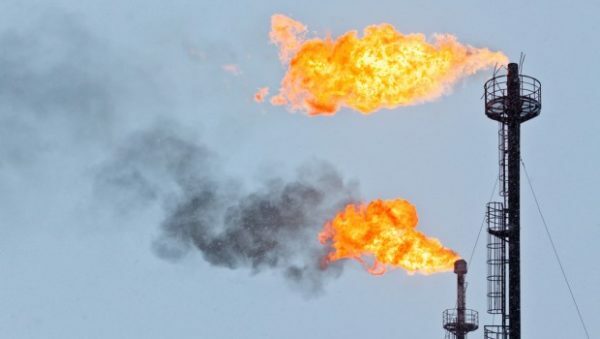 Two occasions stand out, the first – which we covered earlier – involved a UK-led minority in the European Council blocking an amendment for mandatory environmental impact assessments for shale gas projects, one which had already passed the European Parliament. In addition to blocking mandatory impact assessments Prime Minister David Cameron lobbied the then Commission President Jose Manuel Barroso to prevent legislation that would have required on-site monitoring of methane emissions and the capture of toxic gases and compounds. And then there’s the recent revelation that the UK government’s recently passed Infrastructure Act twisted the EU’s definition of fracking to the point that nearly half of the shale wells developed in the US would not be covered by UK regulations.